“The staff was very knowledgeable about the products and very friendly.” — Jeffrey B.
Tempur-Pedic® Stores offer a semi-private layout with separate and curtained “bed pods” for each Tempur-Pedic® mattress that allow you to spend the time needed to learn about, try and select your Tempur-Pedic® mattress. Our comfortable, low pressure environment is complimented with the service and expertise of our highly trained Sleep Experts. An adjustable bases allows you to enjoy virtually unlimited ergonomic positions to support your sleeping and lifestyle needs. 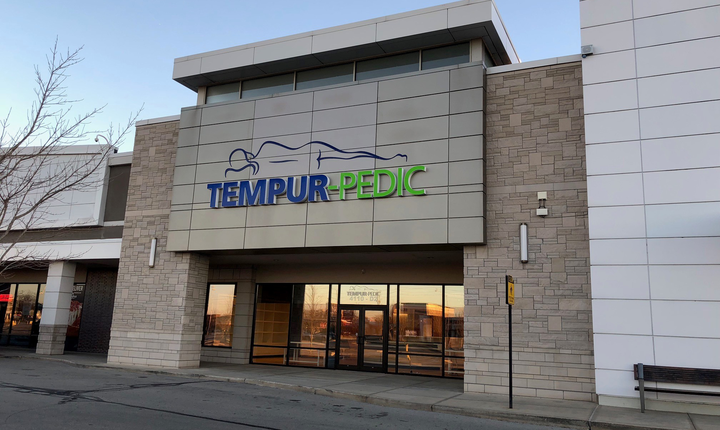 Our Stores carry a selection of Tempur-Pedic® Adjustable Bases so that you can experience first-hand how different sleep positions for your upper body and legs can change the way you sleep and help you get more out of your day. Getting great sleep includes sleeping on the right pillow. Tempur-pedic® pillows are made from the same pressure relieving and supportive material as our Tempur-Pedic® mattresses. 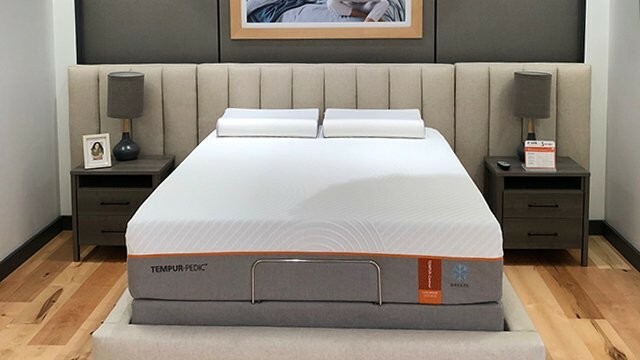 The Tempur-Pedic® Pillow Bar can only be found in Tempur-Pedic® Stores where it showcases the complete assortment of Tempur-Pedic® pillows enabling you to touch, feel and even try them out on a Tempur-Pedic® mattress. Our 90 night tryout helps ensure that you have the time to adjust to your new Tempur-Pedic® mattress. But, if you don’t love your new mattress during that time, we’ll work with you to make it right. Why visit a Tempur-Pedic® store? When you shop at a Tempur-Pedic® Store you work directly with Tempur-Pedic® and you become part of the Tempur-Pedic® family. 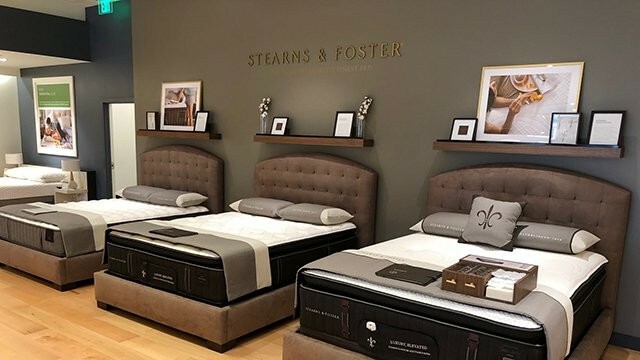 Our stores are staffed with highly trained Tempur-Pedic® Sleep Experts and carry the widest selection of Tempur-Pedic® products for you to experience in a low pressure and comfortable environment. Tempur-Pedic® Store Associates are highly trained experts on all Tempur-Pedic® products. Our Store Associates’ #1 priority is to help you learn about how Tempur-Pedic® can provide life changing sleep and assist you in selecting the best Tempur-Pedic® products for your personal needs with great service in a comfortable environment. Tempur-Pedic® Stores carry the widest selection of genuine Tempur-Pedic® products including mattresses, adjustable bases, pillows, sheets, and more! Visiting a Tempur-Pedic® Store ensures you get the full Tempur-Pedic® sleep experience for truly life changing sleep. We have parking in the front of the store with an easy outside entrance. We are right off of E 82nd Street. 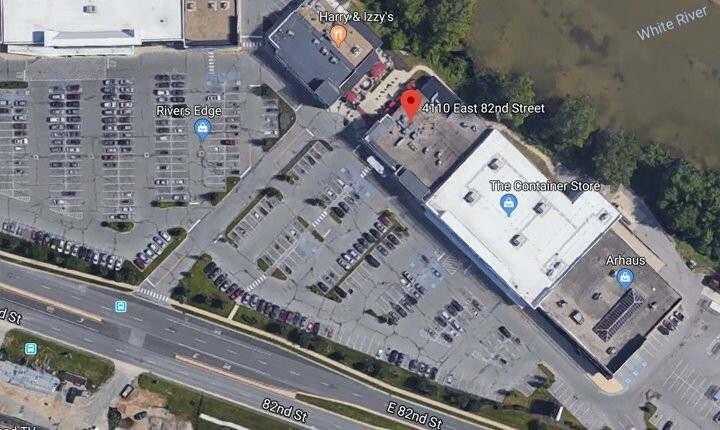 We are located right between the Container Store and Giordano's. Tempur-Pedic® Stores offer the widest assortment of genuine Tempur-Pedic products.